“He is kind of the commander-in-chief already.”—Chris Wallace, Fox News Sunday. With the rumored addition of Exxon’s Rex Tillerson as Secretary of State, President-elect Donald Trump’s Cabinet is nearly complete. Interestingly, most of the key names that had stood by Trump during the trials and tribulations of the 2016 election find themselves without a place to sit in the game of ‘Presidential Musical Chairs’. Arguably Trump’s two advocates from the 2016 election were former House Speaker Newt Gingrich and former New York City Mayor Rudy Giuliani. As top campaign surrogates, these two were on the short lists for several of the top cabinet positions. Not the case, apparently. “I want to be free to network across the whole system and look at what we have to do to succeed,” Gingrich said when briefly reached by phone. The remarks from <Gingrich>, came after he told McClatchy he intends to focus on “strategic planning” during the Trump administration rather than run a federal department. The former House speaker said he does not plan to hold any official role under Trump. Some wonder if he will have an unofficial role. Next, what Happened To America’s Mayor? At one-time Giuliani was considered by most pundits as a lock for Attorney General or Homeland Security Secretary. However in another Thanksgiving-timed surprise, Giuliani removed himself from consideration. Giuliani did this, despite serving as Vice Chairman of the Trump transition. That Giuliani will now not serve in Trump’s administration is the latest sign of a longtime loyalist being shut out and replaced with other conservatives. Trump loyalists — both high profile surrogates like Giuliani and campaign staffers — who have supported his campaign from the early days are expressing frustration that they are being shut out, complaining that they haven’t been given assurances about administration jobs. Mr. Giuliani’s quest for the nation’s top diplomatic post <Secretary of State> is a sharp deviation from prior presidential transitions, in which candidates for top jobs avoided the news media so as not to damage their prospects. 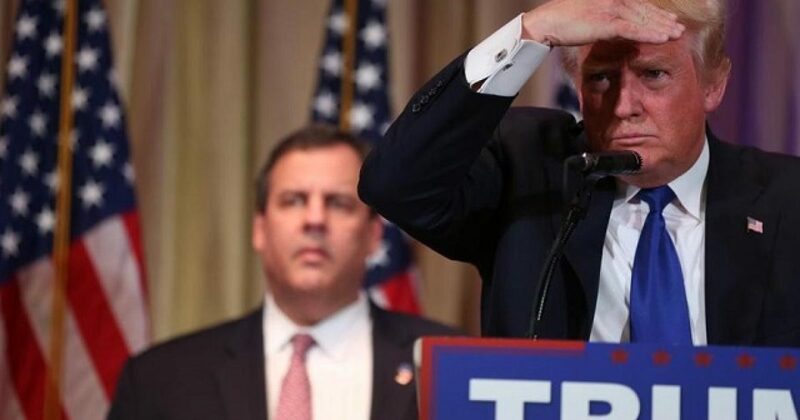 Another longtime Trump cheerleader, Governor Chris Christie will finish his second term as New Jersey governor and will not be serving in a Trump administration. Rumors abound about Christie’s falling out with the President-elect. Some speculate Trump was unhappy with how Christie allowed members of his staff to take fall for the ‘Bridgegate’ scandal. Another rumor indicated that Christie tried to stock the Transition and the White House with his own people. However, the most likely source of the angst is a long-running feud between Governor Christie and the Kushner family…as in ‘Jared’ Kushner, aka ‘Mister’ Ivanka Trump! His <US Attorney Christie’s> opponent in the early 2000s, was the billionaire real estate developer Charles Kushner. Also a prominent Democratic political donor, Kushner’s criminal tax evasion and witness tampering case won Christie, then a US attorney, triumphant headlines in the country’s largest media market. More than ten years later, first as Donald Trump’s Republican primary campaign gained traction and now as the President-elect stitches together his administration, Christie has again found himself seated across from a Kushner — one seemingly determined to curb his ambitions and frustrate his plans at every turn. This time around, though, it is Jared Kushner, son of Charles, and husband to Ivanka Trump. The younger Kushner has emerged as one of Trump’s most trusted advisers and a power broker inside what has been a tumultuous transition process. Sources have put Kushner, 35, at the center of pitched “infighting” over the composition and direction of the team, most notably the dismissal of Christie, who was displaced by Vice President-elect Mike Pence. Being from “Jersey”, Christie should have known better. This has been Trump’s style throughout his course from Candidate, to Nominee, and now President-Elect. He surrounds himself with competent people who get the job and are loyal to him; and there are no strong loyal bonds than family. He was no beholden to ‘Potomac Two-Step’ of trading favors for opportunity. If you crossed him, or went against his personal moral code, you will find yourself immediately removed. This is the type of housecleaning a place Washington DC has needed for a very long time. I have the feeling a lot more people are going to be hearing Mr. Trump’s famous two-word catchphrase over the course of time.